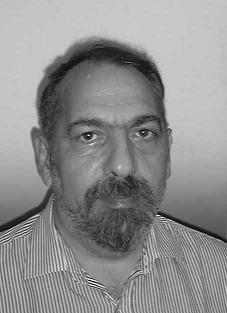 Arkadi S. Nemirovski ( born March 14, 1947 in Moscow) is a native of Russia, Israeli mathematician who deals with optimization. Nemirovski studied at the Moscow State University, where he was awarded a degree in 1970 and 1973, a Ph.D. ( candidate items), each with works from the functional analysis. After that, he was at various research institutes in Moscow. In 1990 he received his doctorate at the Institute of Cybernetics of the Ukrainian Academy of Sciences in Kiev. 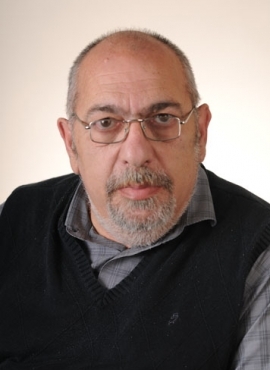 In 1993 he emigrated to Israel, where he was at the Technion in Haifa in 1993 and 1999 there has a full professorship ( in the Faculty for Industrial Engineering and Management ). Since 2005 he has (on leave from the Technion) John Hunter Professor at the Georgia Institute of Technology. 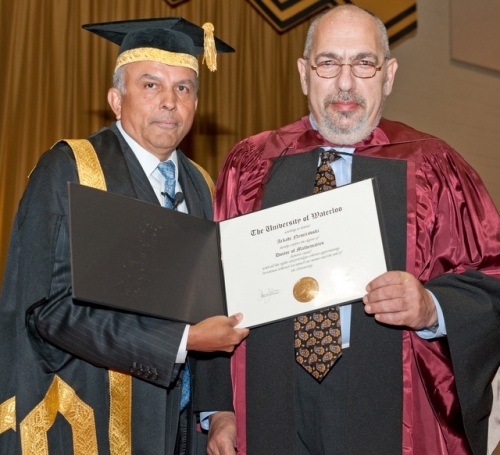 He has been a visiting professor at the Technical University of Delft, the Stieltjes Institute in the Netherlands ( where he held the Stieltjes Lecture 2001 ), the Massachusetts Institute of Technology and the University of Waterloo (whose honorary doctorate he was 2009). Nemirovski with optimization theory and specifically the development of efficient algorithms in nonlinear convex optimization and its evaluation in complexity theory. He developed with David Yudin (DB Yudin ) 1976, the ellipsoid method in convex optimization, as well as about the same time Naum Shor. It forms the basis for the polynomial - time solution of problems of linear programming by Leonid Khachiyan in 1979. Moreover, he developed the general theory Yuri Nesterov polynomial - time interior -point methods of convex optimization, and deals with its implementation in algorithms. In addition, he also deals with Statistics ( non-parametric statistics, such as robust methods for reconstructing noisy images with applications in tomography ) and stochastic optimization. In 1982 he was awarded with DB Yudin and Khachiyan the Fulkerson Prize and in 1991 with Martin Grötschel the George B. Dantzig Prize - the Mathematical Programming Society and SIAM. 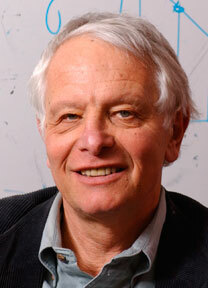 In 1998 he received the Prize of the Technion and Taub 2003, he was one of the recipients of the J. Levi price of the Israeli Society for Operations Research. In 2003 he received the John von Neumann Theory Prize of INFORMS with Michael Todd to (especially for the investigation of general internal point methods in polynomial time and the discovery and development of robust optimization). In 2006 he gave a plenary lecture at the International Congress of Mathematicians (ICM ) in Madrid ( Advances in convex optimization: conic programming ).